Families are great and so are great stories. One of our favorite authors is W. Wilson Rawls who only wrote two books but they are both treasures — especially for reading aloud to kids. 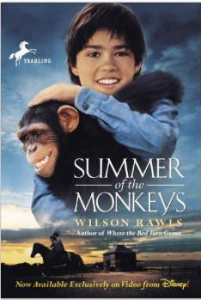 The first of Rawls’ books we read a year or so ago was entitled Where the Red Fern Grows. What a great story, especially to read aloud with the wind blowing and the fireplace dancing. This weekend our family is all together for Easter. My son Jesse and his wife Anna are home with their seven kids and Charlotte and Wes are home too. 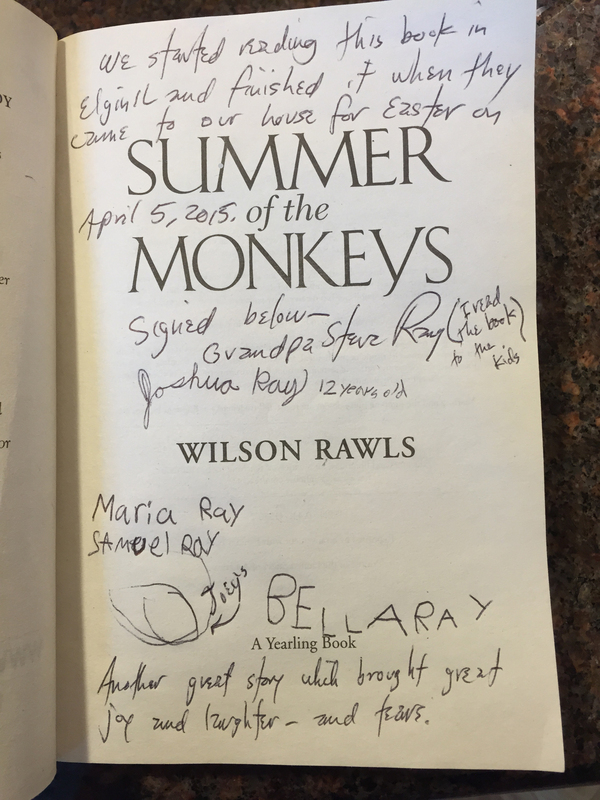 I started reading The Summer of the Monkeys a week ago to the seven Ray kids when I visited them near Chicago and we are finishing it up this weekend. I lay on the couch (my official reading position) and they are piled on all around me. Today we are coming to the end of the story of a boy raised in the Ozark’s who wants nothing more than his own pony. He finally earns the pony but almost immediately takes it back to use the money for another purpose (I won’t spoil the book for you). I had tears in my eyes and it took every bit of will power I had to keep reading. Good thing I had a handkerchief with me. 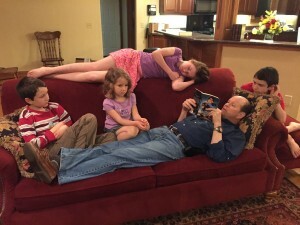 My dad could never finish reading such a book to us kids without tearing up at the end. My mom usually had to finish the last chapter. My dad would not buy us a TV as we grew up — he chose instead to read us stories every night after dinner. I love him for that great gift. He read us many of these great classics for families. I know the last 20 pages of the book will be almost impossible for me to finish tonight but I’ll give it my best shot. 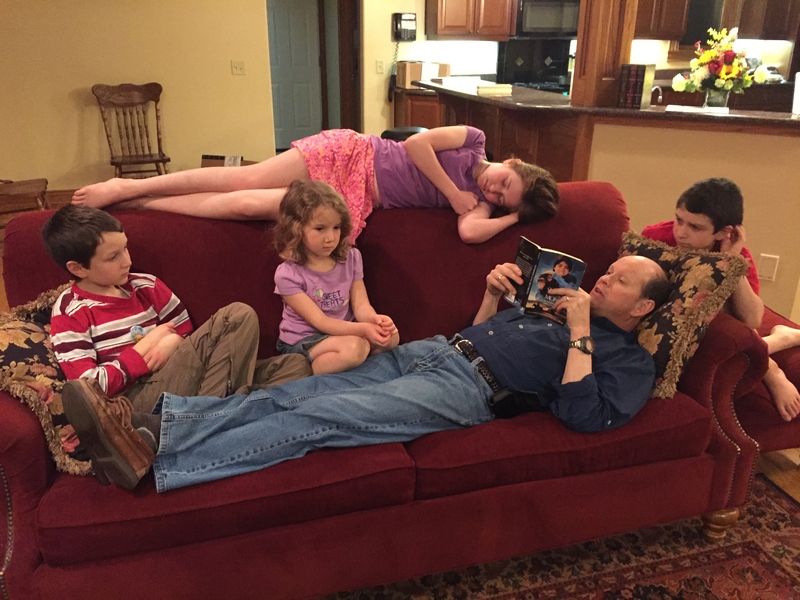 If I get too choked, Janet or one of the grandkids will have to finish reading the final pages. On another note, a bird flew in front on the van on the way home from the Easter Vigil Mass. It was a rare bird, at least not seen very often due to it’s nocturnal habits and shy demeanor. Even as a birdwatcher all my life I had never seen an American Woodcock. My son jumped from his van with his kids and picked it up off the road. 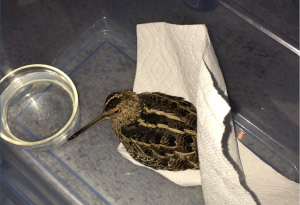 They nursed it to health yesterday and we put it back outside. It slept on our rocks overnight and this morning flew away. It was a pleasant, unexpected and welcomed visit. Now we have one more bird to check off our Life List of Birds We’ve Seen. 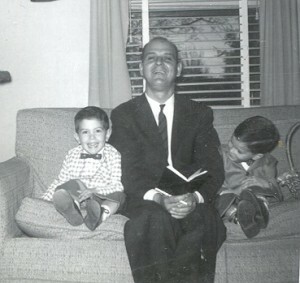 Being a family is very cool — God knew what he was doing. 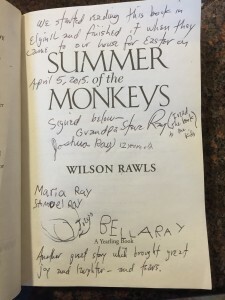 All the grandkids signed the Title Page after we finished the book. It is now a family heirloom. UPDATE: Just finished reading the story at 3:30 PM on Easter Sunday. Emotional ending. Great story of family bonds, Christian morality, deferred pleasure and eternal values in the midst of tough trials, painful choices and childhood dreams. Horses, crippled legs, hound dogs, 22 rifles, suffering, growing up and loyalty. In the tradition of my mother and father who read us countless stories, we finished the adventure together today by writing about the story, the date and the people listening to the story read. Today was no different. Here is the title page with the story book we just read and the signature of the grandkids who sat enraptured until the tearful end. Now we are thinking of the next book we will read together.